Be the first to share your favorite memory, photo or story of Margherita. This memorial page is dedicated for family, friends and future generations to celebrate the life of their loved one. 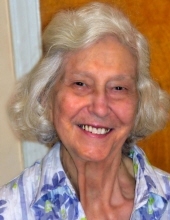 Mrs. Margherita (nee Viglianese) Macera, 90, died on March 23, 2019 at Bryn Mawr Hospital in Bryn Mawr, Pa.
Born in Philadelphia, Mrs. Macera was a graduate of South Philadelphia High School. She was a resident of Springfield, PA since 1966 after having lived in Drexel Hill. The homemaker was a member of St. Kevin parish, St. Kevin Pioneers and the Sons of Italy Lodge. She enjoyed sewing, knitting, and cooking and was an avid Phillies and Eagles fan. Devoted to her family, she is survived by her husband of 59 years, Giuseppe Macera, two sons, Felice and Salvatore Macera, and a daughter, Rosaria Macera, and four grandchildren. Relatives and friends are invited to her viewing on Saturday, March 30, after 10:00 AM at St. Kevin Church, 200 W. Sproul Road, Springfield, PA 19064 followed by her funeral Mass at 11:00 AM. Memorial gifts may be made to Catholic Charities USA, 2050 Ballenger Avenue, Suite 400, Alexandria, VA 22314. To send flowers or a remembrance gift to the family of Margherita Macera, please visit our Tribute Store. "Email Address" would like to share the life celebration of Margherita Macera. Click on the "link" to go to share a favorite memory or leave a condolence message for the family.